would like to give a great big. St Patrick’s School in Manchester raised £80.80 with the children doing a Christmas collection. Deeping Raft Race Committee donated £3000 to MECP2 Duplication UK. 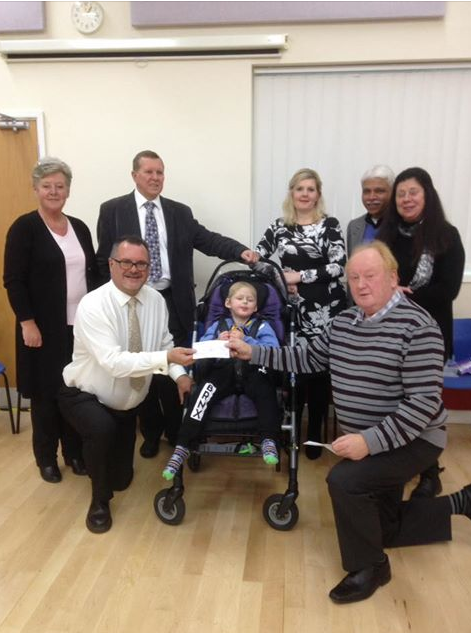 The cheque was collected by our Treasurer Tony Kelly and his Grandson Brody, who has MECP2 Duplication Syndrome.